Agricultural runoff, industrial waste and untreated municipal and domestic waste have led to seriously degraded water quality in Lake Victoria over the past few decades (Scheren and others 2000, USAID 2009). 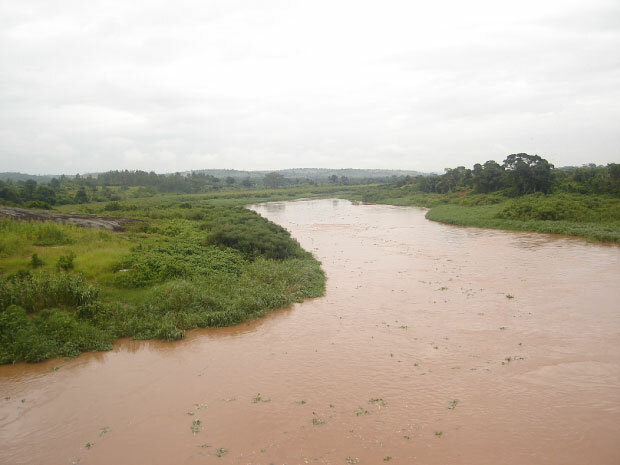 While industrial waste is generally confined to urban areas (Kampala, Mwanza, and Kisumu among others), untreated sewage and agricultural runoff occur all along the heavily populated shoreline. Phosphorous, and to a lesser extent nitrogen from untreated waste, put excessive nutrients into the water driving algae blooms and contributing to the water-hyacinth invasion seen in the mid-1990s (Scheren and others 2000, Williams and others 2005, Albright and others 2004). In addition, accelerated erosion from deforestation and agricultural conversion of natural areas has led to greatly increased sediment loads being carried into the lake (Machiwa 2003). As the river flows through Sudan it also picks up substantial non-point source agricultural and urban runoff (NBI 2005a). While water quality has generally been found to be within World Health Organization standards (NBI 2005a) there are some localised high chemical pollution concentrations especially in the Khartoum area (NBI 2005a). In Egypt, water quality is under pressure from intense population and accompanying agricultural and industrial activity concentrated along the banks of the Nile. In Upper Egypt, this comes primarily from agro-industries particularly sugar cane (NBI 2005b,Wahaab 2004). Downstream, where populations are more concentrated, a wide range of industrial pollution and wastewater enter the river from Cairo and Lower Egypt’s other urban centres (NBI 2005b, Wahaab 2004). 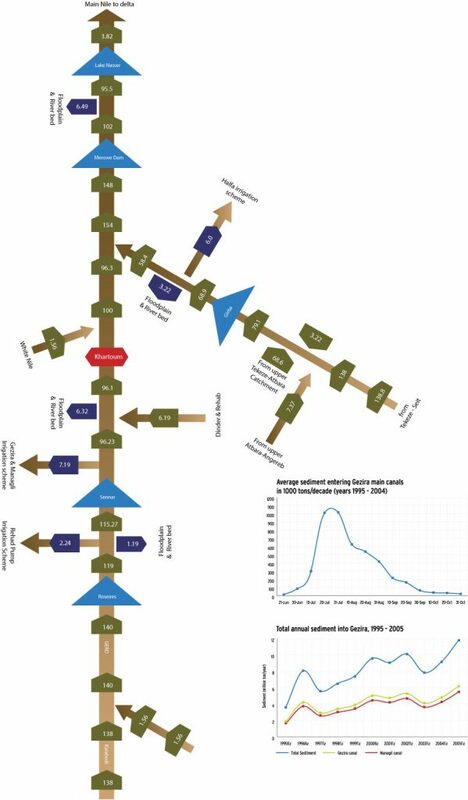 While Egypt has made significant eff orts to construct additional wastewater treatment capacity, population growth has outstripped capacity and considerable domestic wastewater enters the Nile with no treatment (NBI 2005b). Intense agriculture and some mixing of industrial and domestic wastewater in irrigation-drainage canals make a source of multiple contaminants in Lower Egypt (NBI 2005b). The annual increase in Lake TN is estimated using a TN: TP ratio for the current lake and assuming it applied in 1960. It has been recognized by most of the scientific community that Lake Victoria is enriched with nutrients. There are, however, conflicting reports on the magnitude of nutrients received from different sources and the dynamics of nutrients in the Lake. Lake nutrient balance is essential for understanding primary productivity and ecosystem function and for planning nutrient management strategies. The Water quality and Ecosystems study under LVEMP I identifies major point and nonpoint sources of nutrients and estimated the rates of sedimentation into Lake Victoria. The determination of pollution loads from point sources was limited to the Biochemical Oxygen Demand (BOD5), Total- Nitrogen (TN), and Total-Phosphorus (TP). For the non-point pollution sources emphasis is given to Total Nitrogen (TN), Total Phosphorus (TP) and Total Suspended Solids (TSS), the loads from rivers and atmospheric deposition are also estimated both due to their relevance as quality indicators and their contribution to eutrophication of the Lake. For the purpose of determining the nutrient balance of the lake, the sedimentation rates in the lake are also calculated as both fluxes per unit area and total lake bottom accumulation. Municipal effluent load are higher than industrial loads but both represent a threat to the community downstream the discharge point and the littoral zone of the lake. Municipal loads for BOD dominate over the industrial loads. Furthermore Kenya leads in municipal pollution loading followed by Uganda, while Kenya and Tanzania contribute industrial loads of the same magnitude. In Kenya and Uganda some industries are connected to the municipal sewer, hence they are captured as municipal loads. Cane sugar processing, soft drinks manufacturing, fish processing, vegetable oil processing, breweries and distillery industries are the major categories of polluters to the lake in a descending order. The riverine loads are estimated at 9,270 of TP and 38,828 tons/y of TN respectively, and represented in both cases 80% of the total non-point load. Atmospheric deposition is estimated as the overall dominant source contributing about 39,978 and 167,650 tons of TP and TN respectively to the lake annually. The current non-point loadings whether from the atmosphere or rivers represent major losses of soils and nutrients from the agro-ecosystems and are symptomatic of degrading soil fertility in the lake Victoria catchment. Atmospheric deposition dominates the non-point loadings with some of the highest rates of deposition known globally. Although not widely appreciated as vector for nutrient loss, biomass burning does mobilize nutrients into the atmosphere and has likely been a major source of increased nutrient loading to Lake Victoria. Improved land management would be necessary to reduce the current loadings, but it will also preserve soil fertility by retaining nutrient on the land. Sediment from River Nile mainly originates from the highlands where soils are eroded and transported downstream. Due to its seasonal rainfall pattern and the high altitude coupled with land management practices, the Ethiopian highlands generates huge volumes of sediment as compared to the other parts of the basin. 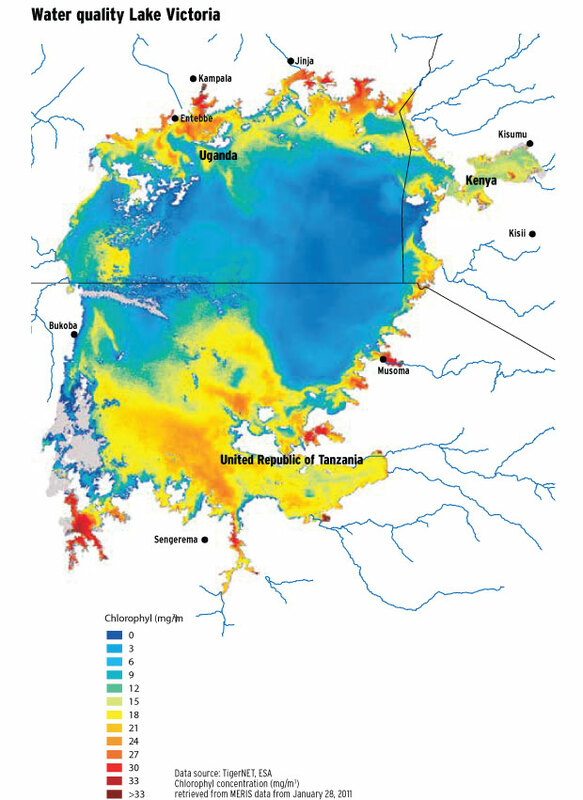 The Kagera and Lake Albert (Rwenzori area) Sub-basins as well as the Mount Elgon area also generate substantial sediment amounts; however data regarding these areas has not been readily available for use in this atlas. Most of this sediment is generated within the wet season; mainly from June – September. The chart presented shows the Eastern Nile Sediment balance as provided by ENTRO. 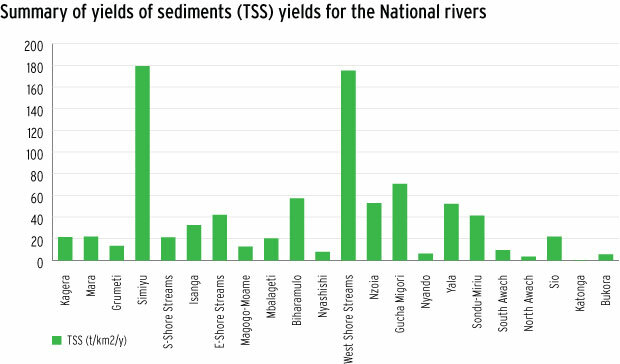 The graphs below show the average sediment entering the Gezira main canal, that from the Managil canal and the total sediment into the whole scheme. It is clear from this graph that sediment loads accumulate in the wet season, but also the fact that overtime the sediment loading is on an increasing trend.